With the increase of phishing attacks, scams through emails, malware, and other cyber threats, the web can be a dangerous place. 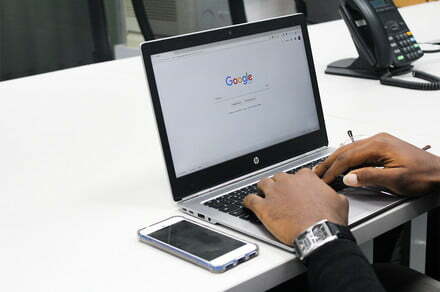 Therefore, it seems that Google wants to demonstrate that it is constantly working to make your Chrome browser more efficient and more secure, by presenting the Password-Checkup, an extension that will alert you if your passwords were hacked. What is certain is that the theft of data that compromise user names and passwords have become so common, that millions of stolen credentials circulate on line and are sold on the Dark Web and other platforms, sometimes by minimum prices. All of this means that, for the common user, it is increasingly difficult to keep track of the passwords that you have, or the need for change. To help with this problem, Google has released a Chrome extension called “Password Checkup”. First you need to add, and once enabled, this extension will run on Chrome all the time as you browse the internet, and verify the password that you enter, comparing them with an extensive database of passwords that already have their security compromised. The company explains the Password-Checkup is not a password manager, nor an indicator of how weak or strong are your credentials. It is simply a discrete tool, which remains running without intrusion, and displays a warning when it detects credentials or passwords that are known to be exposed. This means that you will only be interrupted when it detects the real risks, and give you the option to change your password immediately. The Google security team worked with the cryptographers at Stanford University to ensure that the technology giant will never retain any of your user names or passwords, and that any data that has already been committed to be safe from wider exposure. If you have felt overwhelmed by all the news of data theft and computer crimes in the past few years, Password Checkup of Google seems to be an easy way to regain control. To learn more information in detail, you can visit the Security Blog of the company.